The exact history of knitting and its geographical location of origin are still pretty much unknown. Until now, the precise time that it existed is still being disputed. It is believed that socks were the first pieces to be knitted and it still remains as the most logical item to be knitted up to this day. Knitting is a method of using various yarns or thread whether multicolored or one single block into pieces of cloth or garments. 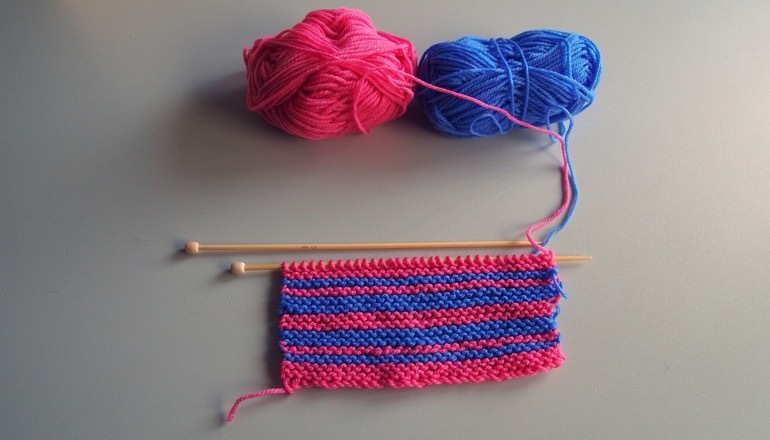 Knitting is referred to as a craft more than a just a mere technique because it requires adequate skills to complete a single piece. The habit of knitting has been introduced for so many centuries now, but unfortunately its popularity is more likely to diminish from time to time. Busy people of today find it hard to squeeze their little extra time into knitting. That’s why most knitters still scout for knitting tips to get them started. True, knitting may be time consuming (and at time tiring), but the end results are very fulfilling. To get you started, I have gathered a couple of knitting tips to help you keep in track without compromising safety. 1. If you are knitting children’s garments, never put drawstrings especially around the neck. It can easily get caught up on swings or when playing. Many companies have already banned the usage of drawstrings due to reported cases of accidents. Unfortunately, a lot of countries are still unaware of such protocol. 2. A very important knitting tip is to check if the buttons are secured and are tightly sewn. Especially for infants, they might accidentally swallow the buttons which could cause choking. 3. It is also very important to choose the fabric to be used. If you are anticipating a grand celebration which involves either lighting up of candles, displays of fireworks or bonfires, it is best to dress you child with 100% cotton or wool for they do not catch fire as easily as other synthetic yarns. But when they do, they will not melt onto the skin. These are only very few knitting tips that are widely available almost anywhere. I’m very intrested to knitting.I’m tried to basic level .I found in tubemate,download video and I tried follow it.I can’t use English speak very well so sorry about that .Thank you !